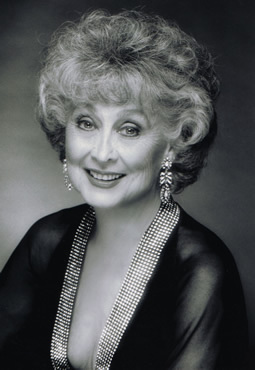 We’ve just learned that veteran character actress Betty Garrett passed away early this morning at the age of 91. The movie musical legend died at UCLA Medical Center in Westwood, California with her family by her side. Born in 1919, Garret was encouraged to pursue a career on stage after high school by her bishop. A friend of her mother’s also arranged for an interview with Martha Graham who then in turn recommended Garrett for a scholarship at the Neighborhood Playhouse in New York City. During the summer months, she performed in the Borscht Belt where she had the chance to work with legendary talents like Jerome Robbins, Imogene Coca, and Danny Kaye. Garrett made her Broadway debut in 1942 in a revue. Not long after, she was signed to understudy Ethel Merman for a lead role in a Cole Porter musical. She went on to other musicals which led to her being signed to a contract with MGM by Louis B. Meyer. She co-starred in movies like Words and Music, On the Town, Take Me Out To The Ball Game, and Neptune’s Daughter. In the early 1970s, Garrett had a regular role on Norman Lear’s All in the Family as Edith’s friend and neighbor, Irene Lorenzo. She was Irish Catholic and liberal and frequently battled verbally with Archie. When Irene began working at Archie’s plant, she spoke out about being paid less than the man she replaced. Irene also provided comfort to Edith when she found a lump in her breast and confided that she was a breast cancer survivor. Garrett appeared on the series from 1973 until 1975. Shortly afterward, Garrett was offered a role on Laverne & Shirley as the girls’ landlady, Edna Babish. The character was a five time divorcee who went on to marry Laverne’s father, Frank. The actress felt that she was underutilized on the series but her musical theatre talents were sometimes worked into the plots. When it looked like the series was going to end, she committed to The Supporting Cast on Broadway. 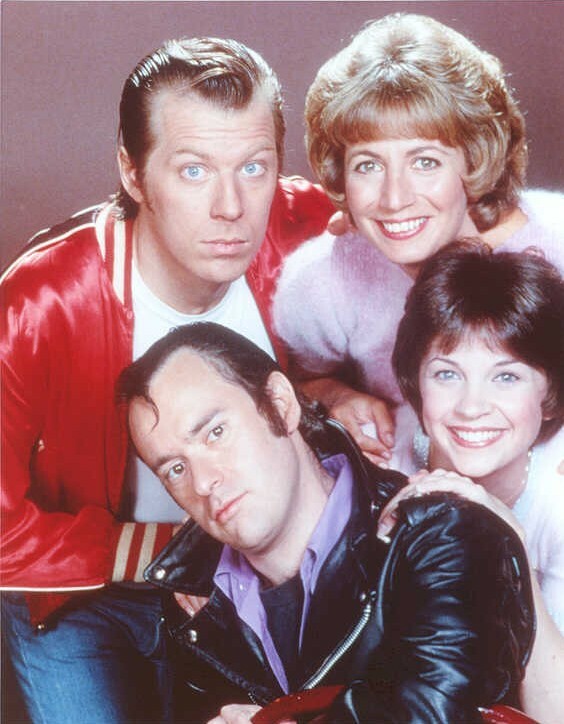 When Laverne & Shirley was extended for another season, Garrett had to be written out and her character was said to have divorced Frank. Unfortunately, the Broadway show closed after just eight performances. In her later years, Garrett continued to be active in the theatre world and made guest appearances on TV shows like The Golden Girls, Boston Public, Grey’s Anatomy, and Murder, She Wrote. Garrett was nominated for an Guest Actress Emmy for her work on Becker. She received a star on the Hollywood Walk of Fame in 2003. Garrett met her future husband, actor Larry Parks, in the mid-forties and after a short courtship the two were married. They remained together until his death in 1975. She is survived by their two sons — actor Andrew Parks and composer Garrett Parks — the sons’ wives, and a granddaughter. What do you think? How will you best remember Betty Garrett? All in the Family, Laverne & Shirley, her musicals, or other performances? “My Sister Eileen,” playing the older sister to Janet Leigh. Their performance as sisters had so much chemistry – the subtle rivalries, but underlying support and affection. She was a funny, witty actress who played off Frank Sinatra in the 40’s and Carroll O’Connor and Phil Foster in the 70’s without missing a beat. God bless her and her family-she leaves very few comrades from the golden age of movie musicals and we won’t see her like again. On the Town! Pushing a very young and very skinny Frank Sinatra around New York. The best! I loved her in “On The Town” with Frank Sinatra, Ann Miller, Gene Kelly, Jules Munshin, and Vera Ellen. I’ll always remember her as Brunhilde Esterhazy, in the 1949 musical “On the Town” with Gene Kelly, Frank Sinatra, Ann Miller, Vera Ellen and Jules Munshin. Um, how can you refer to “her future husband” and name her sons, but omit the fact that her husband was Larry Parks, who starred in “The Jolson Story” and was later blacklisted?! @Roger K: It was unintentionally edited out. Thanks for noticing! I remember Betty as Irene Lorenzo on All in the Family. She kept Archie in his place. She was a beautiful, talented and under rated actress.